Built to last, top grade materials. Shelf size, 12 x 16". Brackets for mounting on a door or wall. 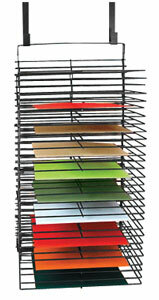 Its 30 shelves can be folded, taking up little space. 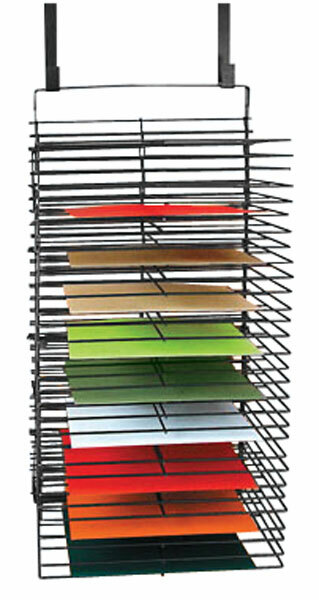 2 racks can be bolted together, forming a vertical column.